Joe is a Financial Advisor with BFJ Financial Group, and holds the CERTIFIED FINANCIAL PLANNER™ and Certified Public Accountant (CPA) designations. Joe’s knowledge in financial planning and accounting provides him with the expertise needed to create tax-efficient investment strategies and wealth management solutions. Joe helps his clients manage their finances in accordance with their financial goals, so they can focus on their personal and professional aspirations. Prior to joining BFJ Financial Group, Joe worked as a financial advisor at Ameriprise Financial where he helped his clients plan for financial success. 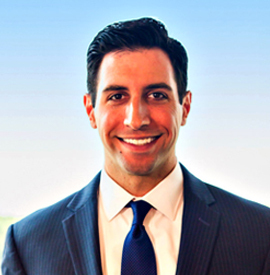 Joe is an active member of the Howard County Estate Planning Council, the Howard County Chamber of Commerce, and is the Co-Chairman of the Financial Planning Association of Maryland’s NexGen Committee. Joe earned his degree in Finance with a concentration in Financial Planning from Salisbury University, where he played football and met his wife, Sarah. Joe continues to enjoy living an active lifestyle by playing and coaching sports.